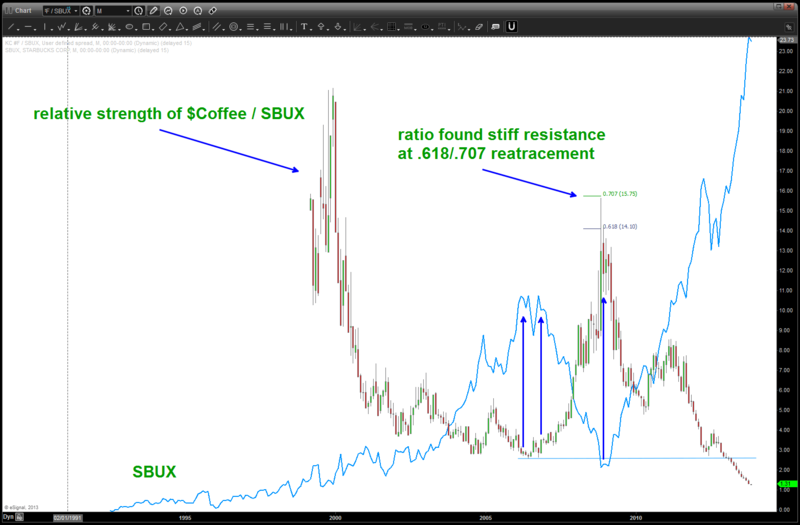 my last post on SBUX saw the 73 area as the potential price target to finish a parabolic run. it worked for almost a month but ultimately was defeated. 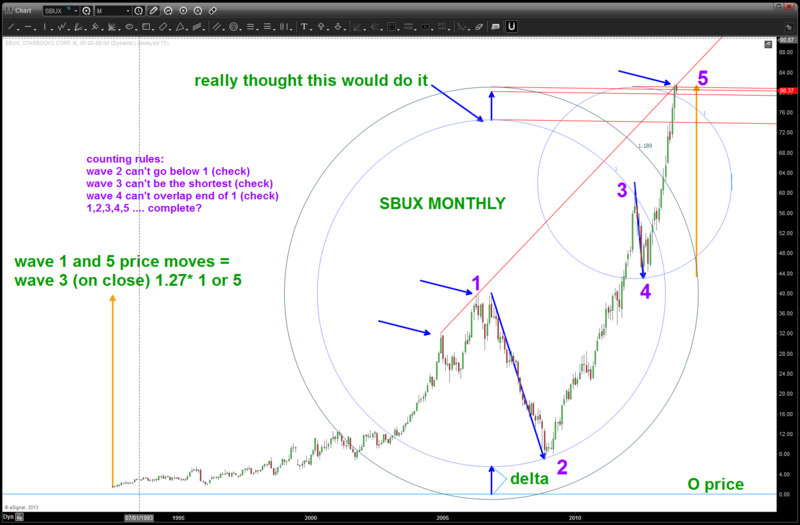 so like any good chartist it was “erase” and back to the drawing board. 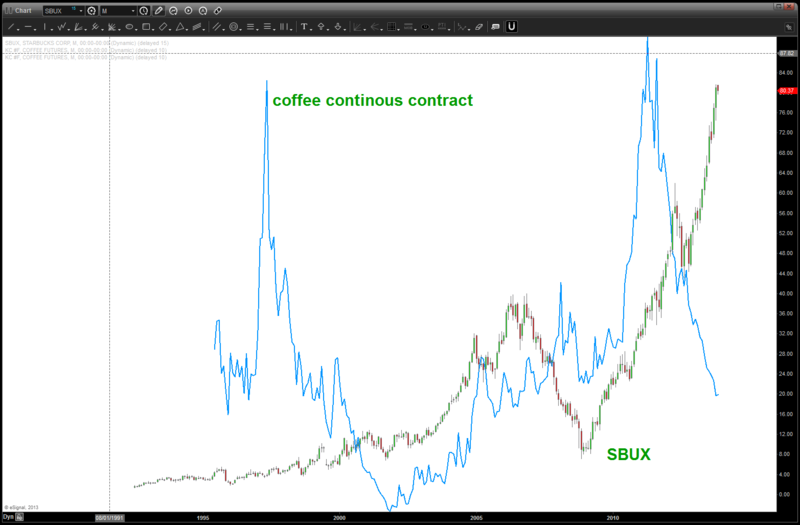 I can look at this one till I am blue in the face and I really can’t see any correlations … in fact, they both took off together for 10 years and, back in 1997 as prices came tumbling down (as now) SBUX just kept rising. this confused me …there has to be “some” correlation doesn’t there? 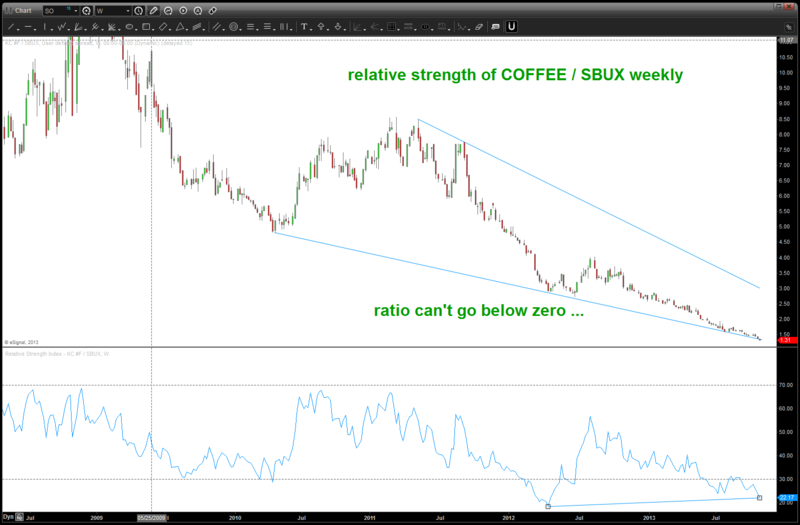 if not NOW then, in the very near future, believe 1) Coffee will find significant support and 2) the relative strength of Coffee vs SBUX will bottom and start back up and 3) this will cause the parabolic advance of SBUX to flame out …. it is inevitable.